It's the first AFA Podcast of 2016! With most of the team struck down by illness or otherwise engaged, Rachael and Dan go it alone. 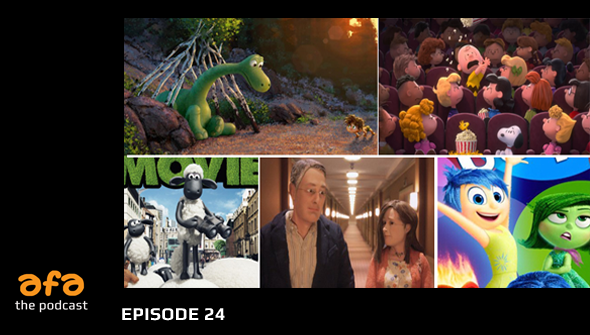 They discuss the latest happenings in the animation world including the third Zootopia trailer, the announcement of the Gravity Falls finale's air date and Only Yesterday's US debut. After a brief round-up of what we've been watching, it's time to look back at 2015 in animation... and to look ahead to what we've got to look forward to in 2016!